Back in town now, and Dragon*Con was an absolute blast! It also looks like there’s a good chance I will be returning next year :), and I was also invited to join a costuming group, so yay!. I’ve also just signed onto a new consulting gig ( more yay!) 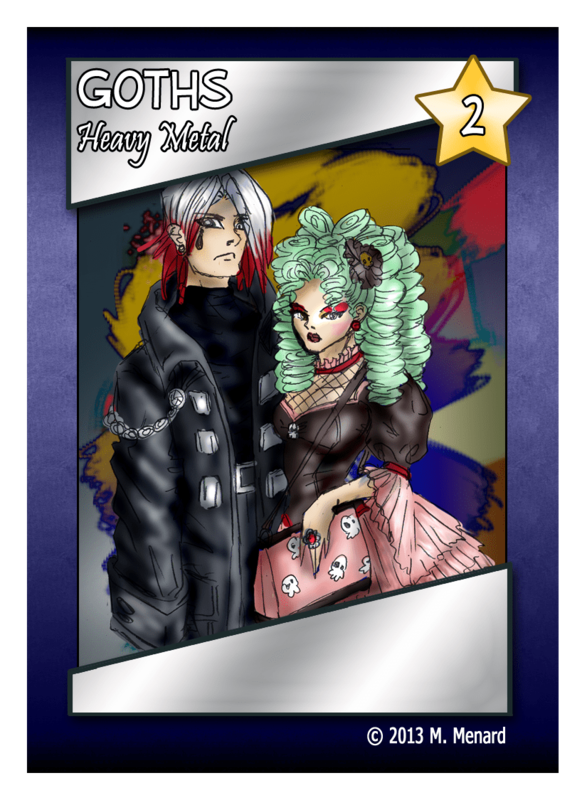 and have gotten two fabulous, wonderful artists to help out with my new card game, the bands card-drafting-battler. So, this was the title of the game I’ve been working on. However, one of my artist buddies points out that a card game by this exact same name exists, from a few years ago. Damnation. I poked around a bit and the mechanics between the two are wildly different, so that’s a plus. Sadly tho’ I’ll have to change the name. Suggestions?Here’s a sample of one of the cards so far. Also, there’s always room for more artists, so if you want to illustrate a card or two, drop me a line. The more the merrier. I do plan on having a working prototype of this up and running for the Dallas Big (D)esign conference. Still not sure yet if it’ll be at SIEGE or not – depends on how fast some of the art rolls in. While I don’t plan on all the art being done in time, I’d like a good chunk of it to at least be draft/sketched out. Looks like Farmnation Mini’s also getting a quick update today. While I was at D*Con, it seems the game crafter updated their small boxes to a higher quality one, so that’s good news. Bad news, the template is ever so slightly different so the art doesn’t quite look right on it. I’m fixing that today. So…if anyone ordered between Sept 1 and Sept 9th, lemme know. I can send you a new correct box.